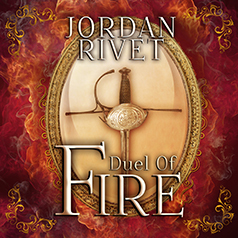 From the author of the Seabound Chronicles comes a new fantasy series about sword fighting, cur-dragons, molten Fire magic, and one young woman's effort to prove herself. Eighteen-year-old Dara needs to find a wealthy patron in order to duel professionally and avoid a lifetime working in her parents' Fire Lantern shop. Her efforts are disrupted when her coach asks her to train with Prince Siv, an infuriating—if handsome—young man who refuses to take the sport as seriously as she does. But the prince's life may be in danger, and soon Dara will discover that Vertigon isn't as peaceful as she thought. As threats emerge from the shadows, Dara will have to raise her sword to protect Siv—if he doesn't irritate her so much that she decides to run him through herself.